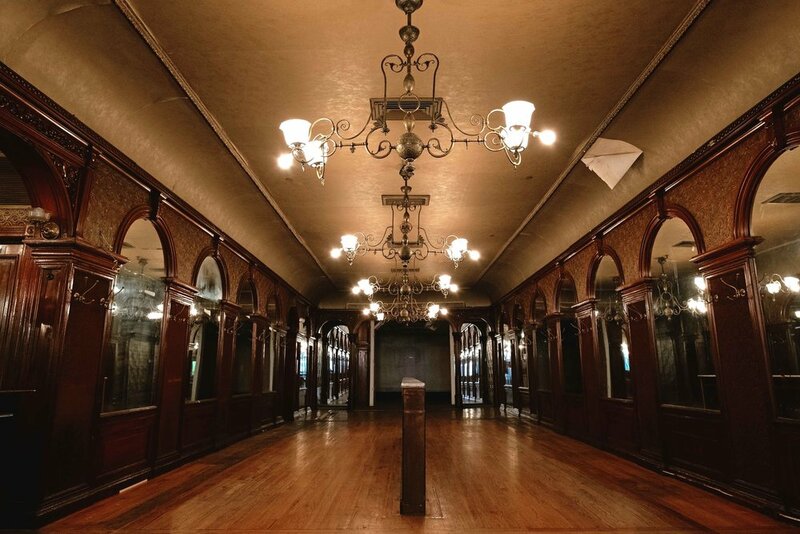 Want to get a look at the old Gage & Tollner space, up close and in real life? This is your last chance to see it before the paper goes up on the windows. Make a tour of Gage & Tollner part of your Saturday morning. Ben and St. John will be there to show you around and discuss future plans for both the landmarked dining room and the second floor. Open to the public — potential Wefunder investors especially welcome! Bring a friend, and we'll see you there. Want to get a look at the old Gage & Tollner space, up close and in real life? Now's your chance! Make a tour of Gage & Tollner part of your Saturday morning. Ben and St. John will be there to show you around and discuss future plans for both the landmarked dining room and the second floor. Open to the public — potential Wefunder investors especially welcome! Bring a friend, and we'll see you there. A simple happy-hour get-together for people who have invested or are considering investing in Gage & Tollner, the new chophouse in Downtown Brooklyn. Come find out more about the project and meet some like-minded people! Fort Defiance will be closed to the public, but there will be complimentary hors d'oeuvres and a cash bar for guests. Bring a friend or two!